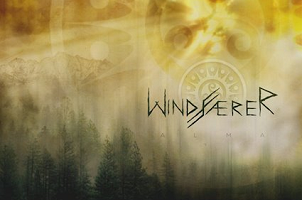 Given a proper introduction to Windfaerer over the summer in the live venue, Tenebrosum became a much anticipated release for the fall season. The energy the band portrayed in the live setting was nothing short of impressive, particularly (electric) violinist Ben Karas. 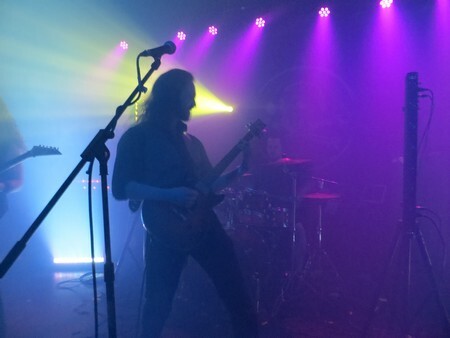 In short, Tenebrosum has a range of influences that give the band a bit of their own identity, and you’d be wise to give these New Jersey guys your undivided attention. 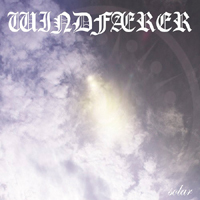 Summing up Windfaerer up with a cheap “folky black metal” tag doesn’t do it justice. As you move through Tenebrosum, you’ll hear snippets and nods thrown towards old-school Swedish melodic death metal, progressive elements, and doom. The band plays their strongest card wisely, that being the violin (which has upped its role from previous outings). It does separate the band from what much of the folk-influenced bands are doing, and keeps it classy. 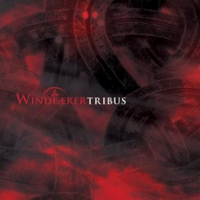 It’s a full-fledged force, and often takes over much of the melodic weight from the guitars and can enhance the range of emotions from haunting to ethereal to downright brutal. Check out the instrumental “Santeria” if you are looking for a good place to start. But the way the violin is incorporated into the blend of tempos in a track like “The Everlasting” is the real treat. The transfer from sweeping black metal majesty in the guitars to intoxicating folky strings is something you simply don’t hear every day in this sort of music. Not to simply gush about the violin work, the band does show their range with the rest of the instrumentation. “Morir en la Olvido” does more than a fair bit of good ole Gothenburg-styled riffing (channeling some early At the Gates or Lunar Strain/Subterranean-era In Flames). “The Outer Darkness” veers more towards Enslaved territory, bouncing between some snarling black metal and more progressive flourishes. Other songs, like “Tales Told in Oblivion” slow things down a bit with some doomy elements (as well as some of the most truly ‘folky’ feelings of the album). Truly, one could find some of the finer points of each track but it’s safe to say that the band is highly effective at designing music that isn’t easily pigeon-holed into one particular sound. Rare is the band that can slip past the labeling game and write some compelling material. Even rarer is it to see the same band incorporate a “non-metal” instrument into the forefront of their sound and avoid a feeling that is trite and gimmicky. 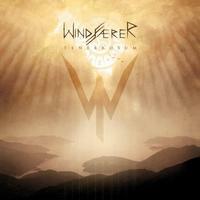 Windfaerer has managed to do this on only their second full-length album. Rightly impressive stuff.